Our BIG SUMMER PROJECT is complete! 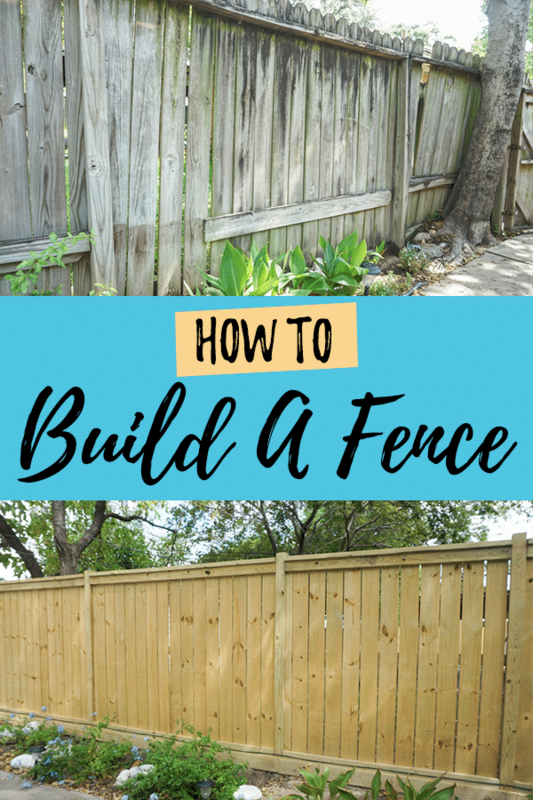 We built a beautiful DIY fence to replace the dilapidated wood fence between our house and our neighbor. The added bonus was we were also able to replace our gate and get an automatic opener! 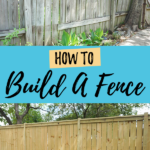 We had no idea how to build a fence, but we worked with our neighbors and came up with an idea we loved and this project turned out better than we could have imagined! 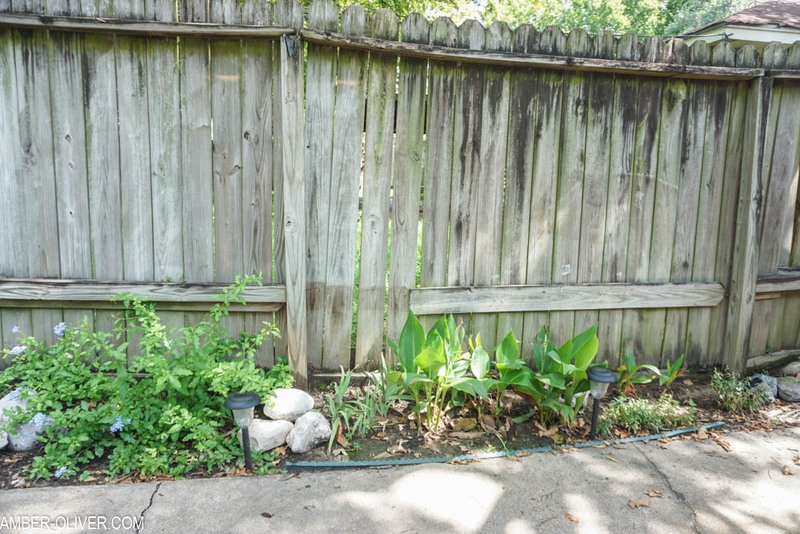 Here are some before photos of our fence – it’s SAD I know! 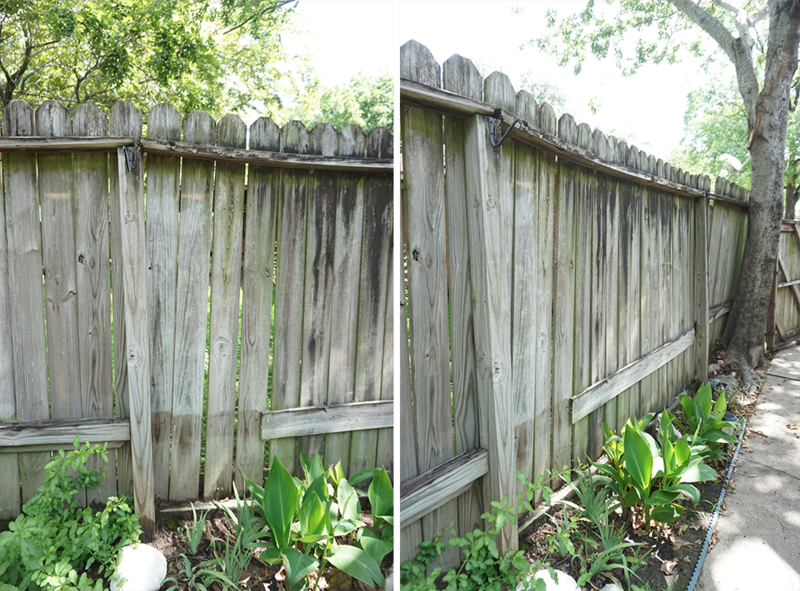 Our fence was barely standing, so this was rather easy for us. We used a hammer and knocked out all the pickets. Some of them were screwed in, so we used a drill to remove those. Our posts were rotted so we had to remove them. You may get lucky and have posts that are still in good shape. We used farm jack to remove the posts and it was SO WORTH IT! It was so much less messy and took a 1/4th of the time. We were left with clean holes we could easily use to set the new posts. We used 10 foot 4×4 posts. For the most parts we could use the holes from the old posts but in some spots we had to dig and make the holes a little deeper or wider. We measured and made sure the holes were deep enough but didn’t worry about getting the measurements exact. 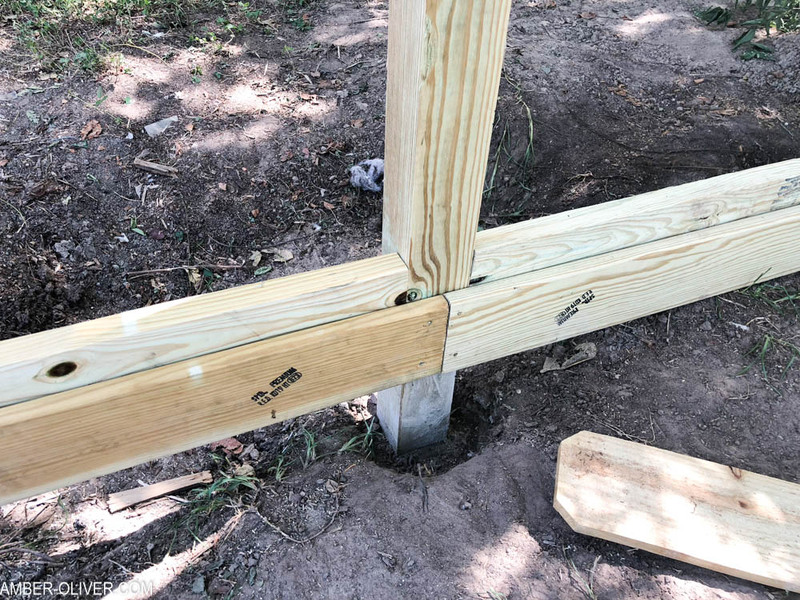 We used taller posts than we needed so we could simply cut the tops off when we were finished – much easier than trying to get perfect hole depths! 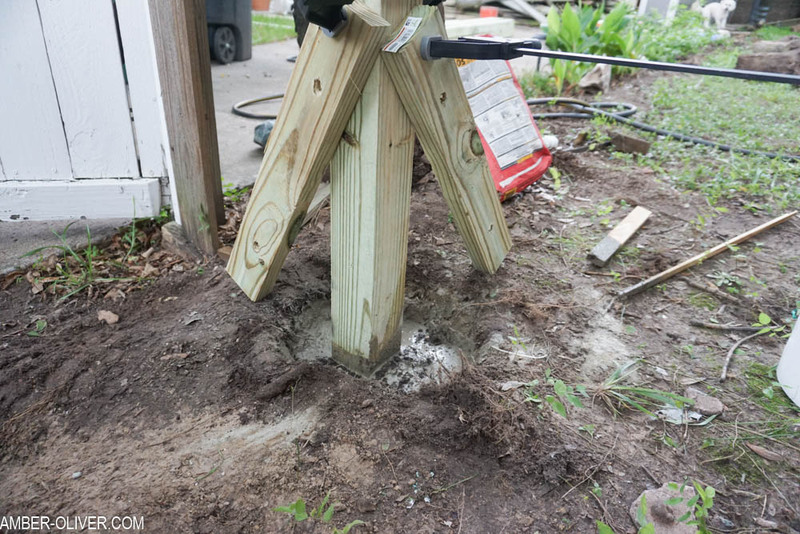 To set the posts, we poured a bag of Fast-Setting Concrete Mix then added water. 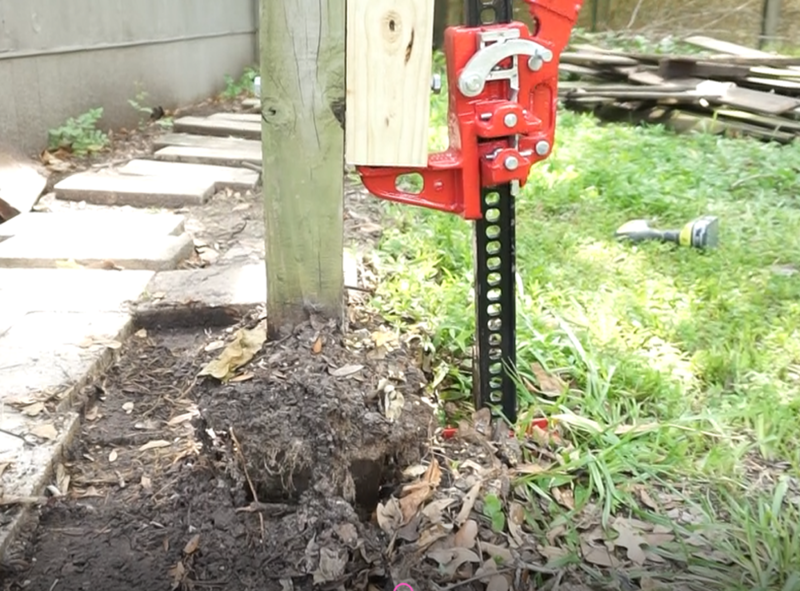 We initially used scrap 2x4s to brace the posts, then figured out we didn’t need to! 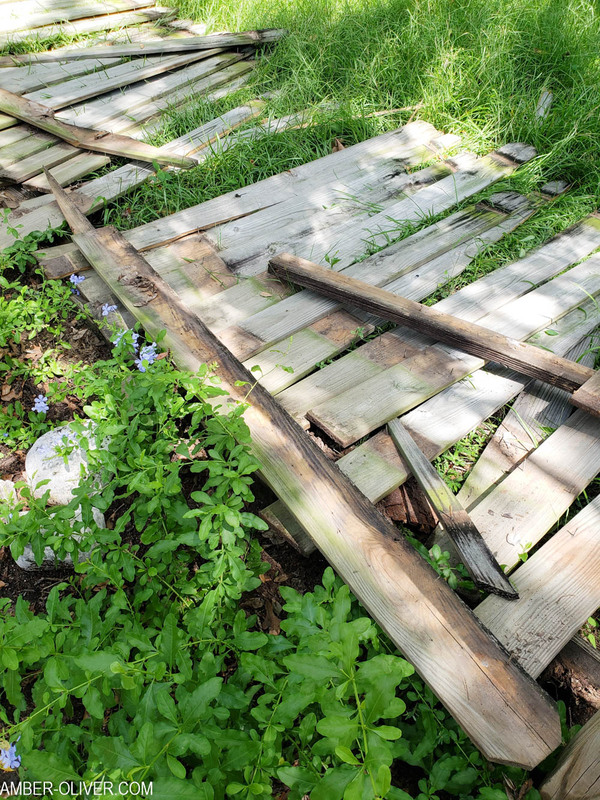 Instead of just using a 2×4 at the bottom, we also used a “rot board”. 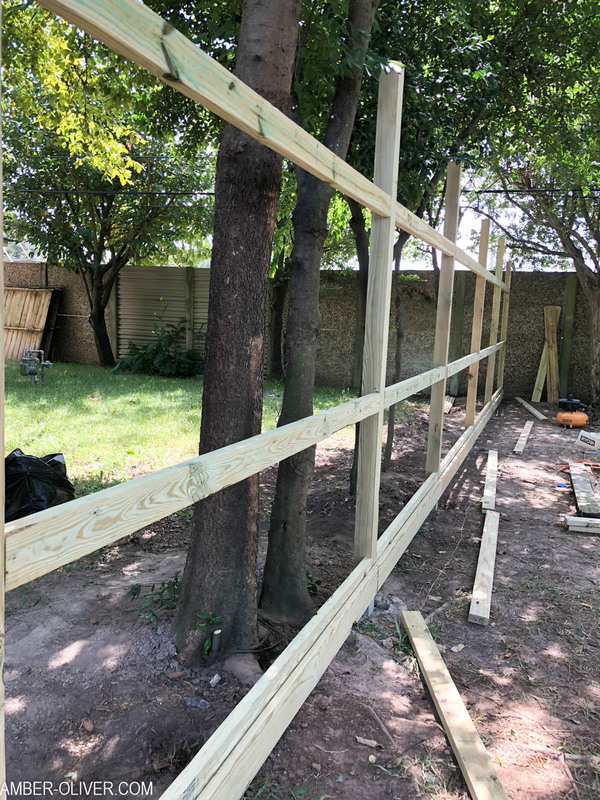 We get a lot of rain in Houston, and flooding happens alot, so this board is easily replaced if the fence ends up in standing water. 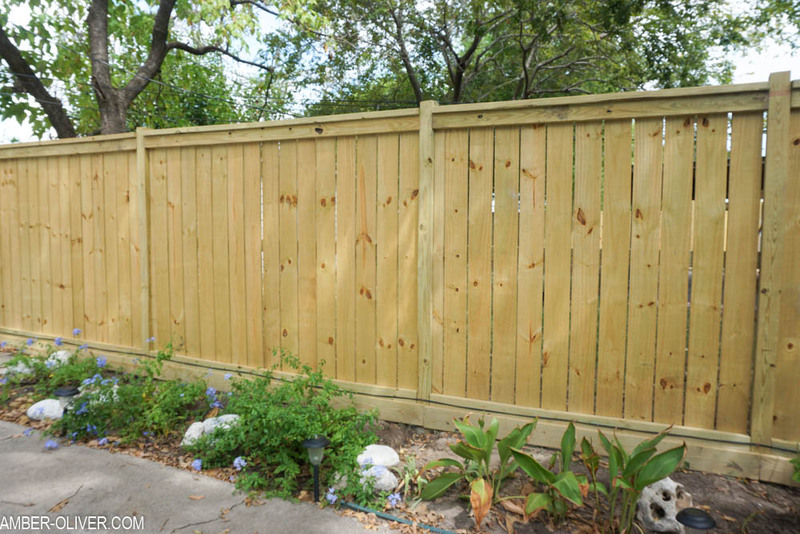 This also makes our fence slightly taller which we also wanted! 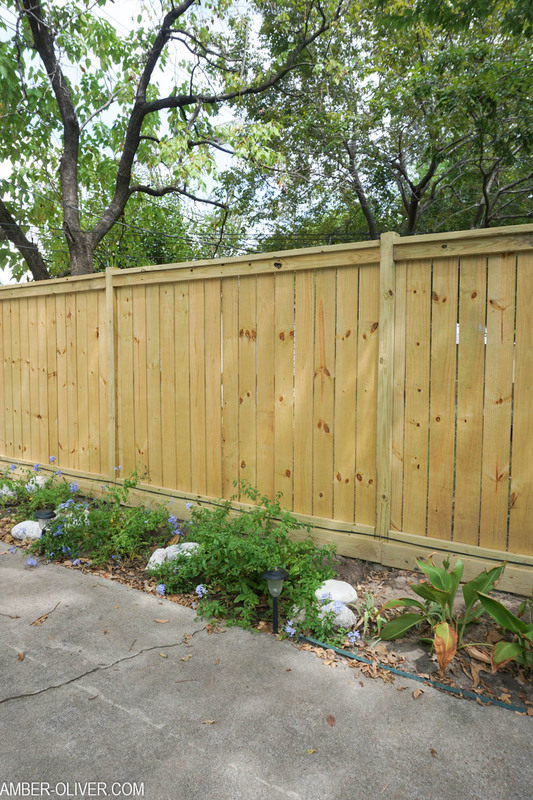 Be sure to measure each one and make sure they are level since this is the starting point for your fence! 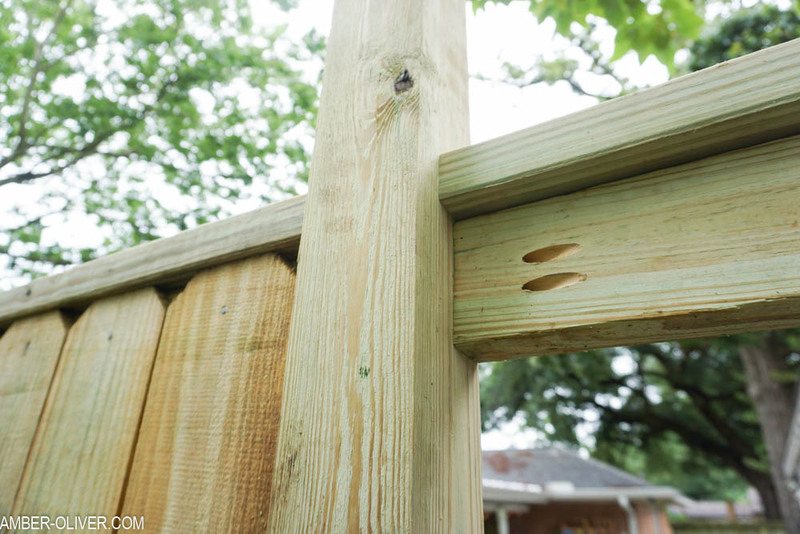 We used our Kreg Jig to make pocket holes in each of the horizontal 2×4 fence rails. This made it so easy to attach into our 4×4 posts! 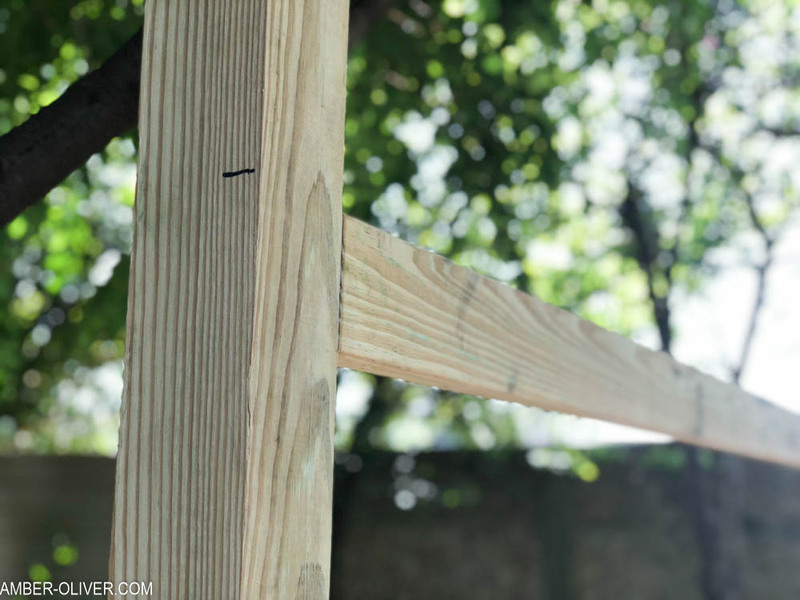 Measure and put your top board so that the pickets will fit to the bottom fence rail. We weren’t sure at first if we needed the middle rail, but ultimately added it so the pickets didn’t bow out. We also added a 2×4 across the top – this rally finished out the fence and made it look awesome! We just nailed this into the horizontal top board. We used a piece of scrap 1/4 inch wood as a spacer to ensure our pickets were evenly spaced. Start at one end of your section and put the board flush to the top board, then nail in. 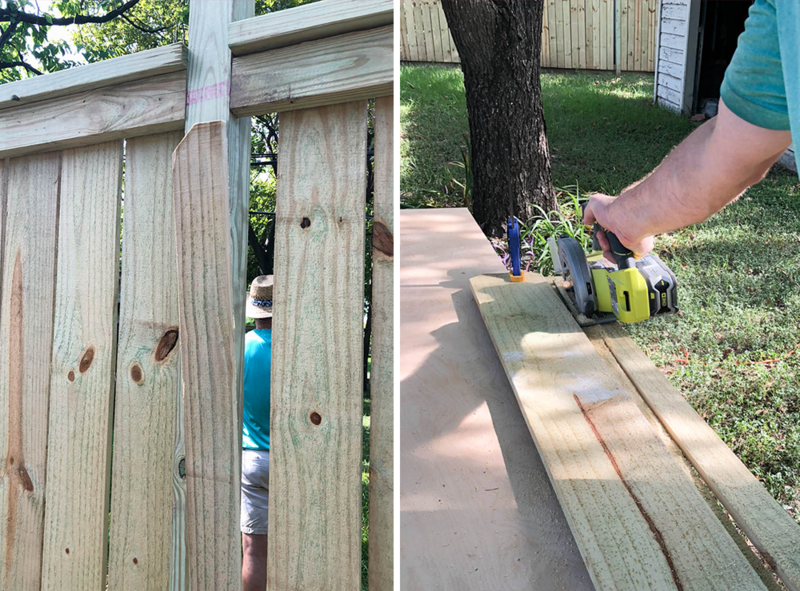 We did this part with a hammer and nails on our fence, but our neighbor rented a nail gun for his side. Once you add all your pickets in each section, you’ll most likely have an odd space at the end. 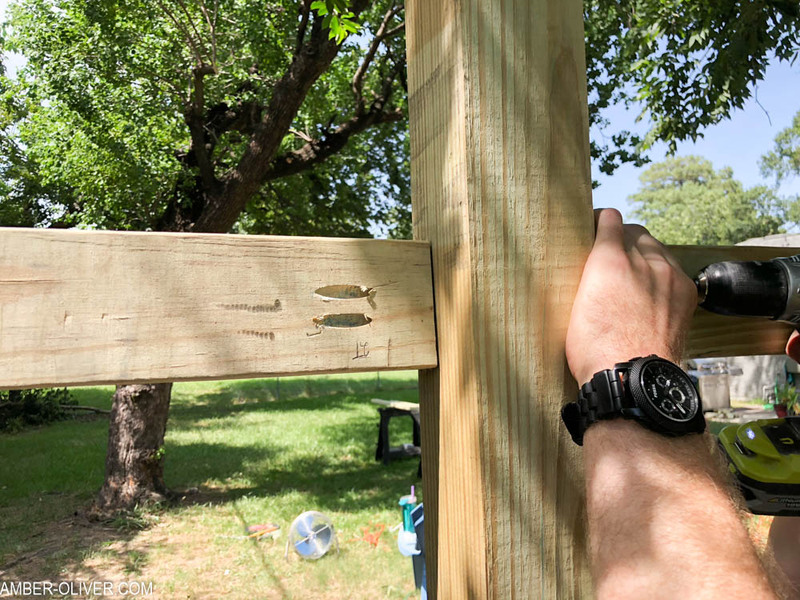 We could have changed our spacing so we didn’t have to make extra cuts, but instead we measured and cut a picket to fit in the odd space – I preferred that to having odd spacing. 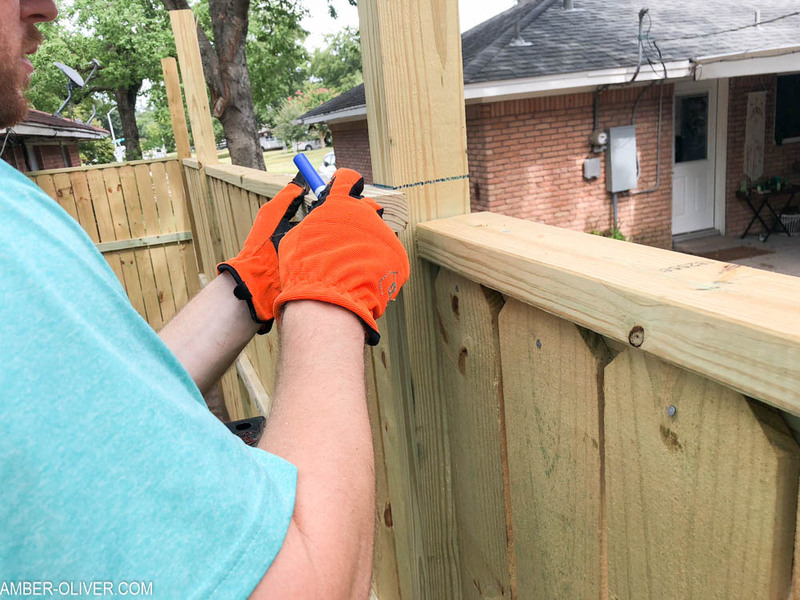 Once the fence was complete, we used a reciprocating saw to cut down the posts. We used a scrap piece of 2×4 to measure and mark each one so they would all have the same height. We’re still undecided if we want to add post caps! 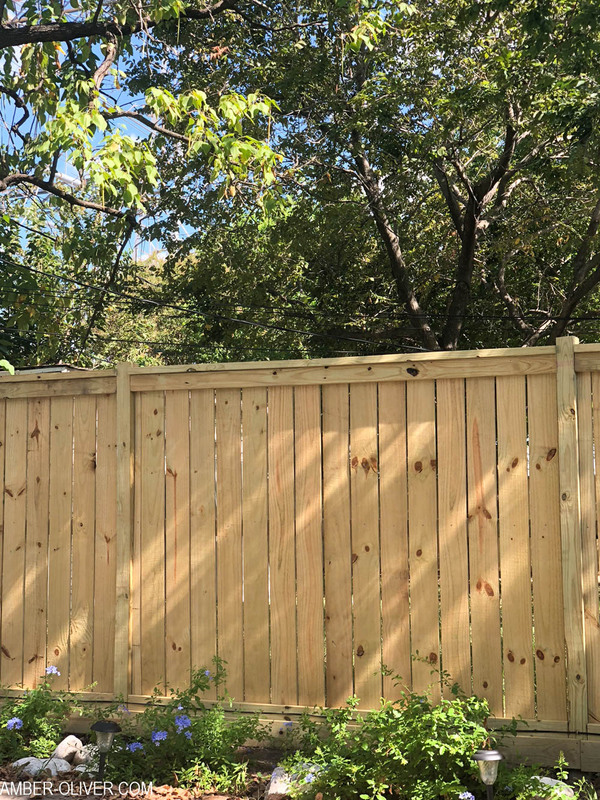 I love how our finished fence looks! I seriously couldn’t stop staring at it! It’s such a change from the old fence that was there for so long. 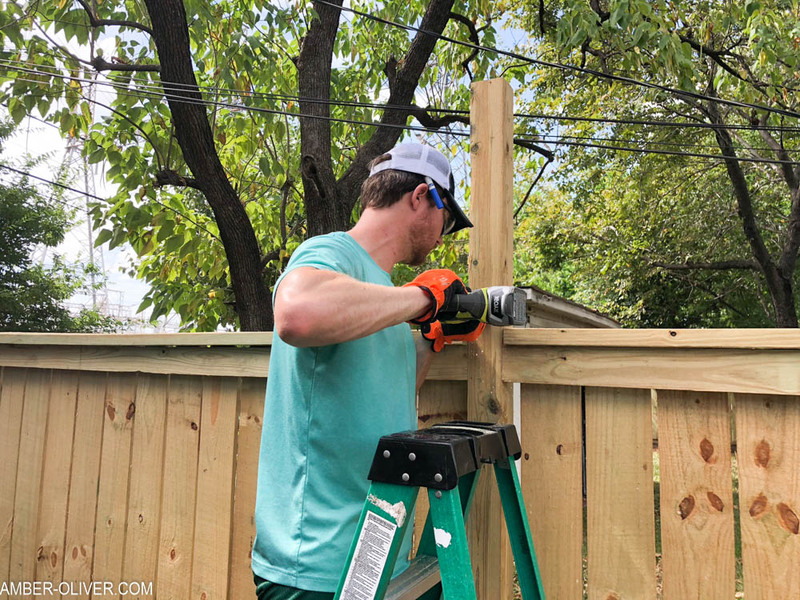 Even though we didn’t know how to build a fence when we started this project – it’s safe to say we do now! 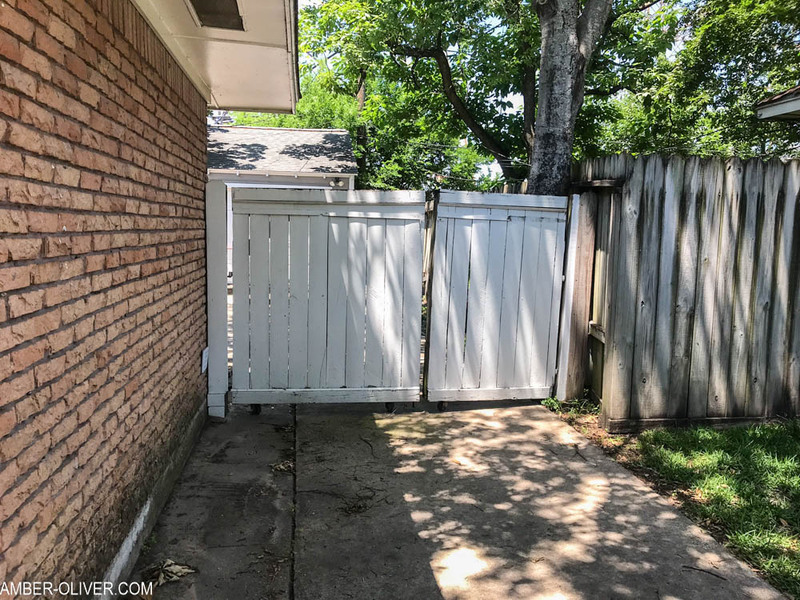 Since we DIY’d this project and saved a ton of money – we decided to invest in a new gate and had that professionally installed. We are so happy with our backyard – now we just need cooler temperatures so we can enjoy it! « Spray Painting Picture Frames: Thrift Shop Challenge! How much was your project? Hi! It was around $850 and we split the cost with our neighbor. We were quoted much, much higher than that! How big an area did you fence for that price? It was about 60 feet!